This is what I want to do, but I can’t afford it. 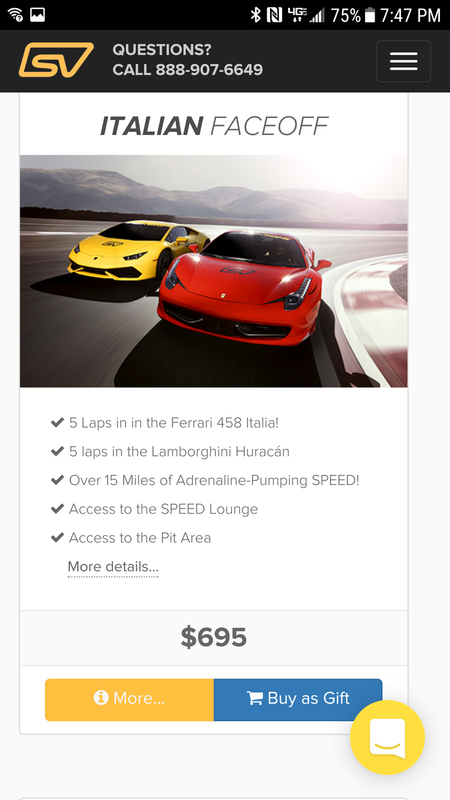 I can’t justify $700 to drive a Lambo and Ferrari for 10 laps. I have projects to restore, and money needs to go there. So I don’t gamble, am away from the shopping and entertainment on the Strip. I sure as hell am not going to hang out in a club because middle aged dad. What can I to to waste some $$ in Vegas? I had an idea. Big goddamn steak. I know our resident car cleaning expert approves of this. That, my friends, is an 18 oz, bone in, Prime filet, dry aged 24-30 days. Holy mother, was it good. I paired it with the creamed spinach. And a wedge salad with maple crusted pork belly (sorry Wilbur). Damn, that was good. And of course, as I have nowhere to go tonight, Makers on the rocks. I usually drink my whiskey neat, but I felt like rocks tonight. That is the happy part of this post, a meal I am using to distract myself. I am a bit troubled tonight, Oppo, as I was informed moments ago that a close family member is struggling with opiate addiction, and was hospitalized due to OD. This all started with legit medical use that got out of hand. Be careful with ehat they prescribe you, Oppo.